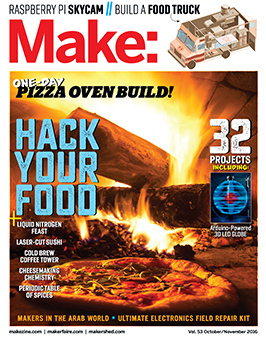 Maker Faire events across the United States are celebrating a DIY/homegrown invention movement. Whether it’s a home-built robot, video game, handbag, miniature race car, musical instrument, or sustainable micro garden, Maker Faire showcases all that is creative and innovative in our community. When and where is the Greater Hartford Mini Maker Faire? A do-it-yourself project that is unique, inspiring, engaging, and interactive with observers. It tells a story. It might be a piece of art… or a tool or project that does something different. It should be something that hasn’t been seen before, or at least by few people. 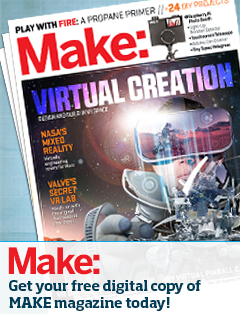 It should not be for commercial purposes – no selling….at least in the Maker Demo Space. The Maker needs to be there to demo and explain. Its okay to take commercial things and do a “mash-up” that repurposes in unique and “ah hah” ways, ie, an underwater bicycle. Risky projects are encouraged, but need to be managed in a way that the audience and property remain safe. For example a rocket-propelled motorcycle would be great, but would need to be shown in a safe way. Who should apply for a Greater Hartford Mini Maker Faire booth? Local, regional, and national groups, clubs, individuals, schools, libraries, universities, and hobbyists who can demonstrate or actually show the making of their invention/craft/project in a contained booth setting or workshop. Applicants who are chosen by a review panel to participate will receive a 10’x10’ area at no charge. A table and 2 chairs will be provided. Those applicants who also wish to sell products at Greater Hartford Mini Maker Faire may be asked to pay a fee for their booth space. The Greater Hartford Mini Maker Faire had approximately 50 exhibits last year and we are hoping to expand this year. Attendee cost is free. How many people will attend the Greater Hartford Mini Maker Faire? Last year over 1,500 people of all ages attended the faire and had a ball – this year we expect even more. To learn more about the national Maker Faire movement visit the Maker Faire website.